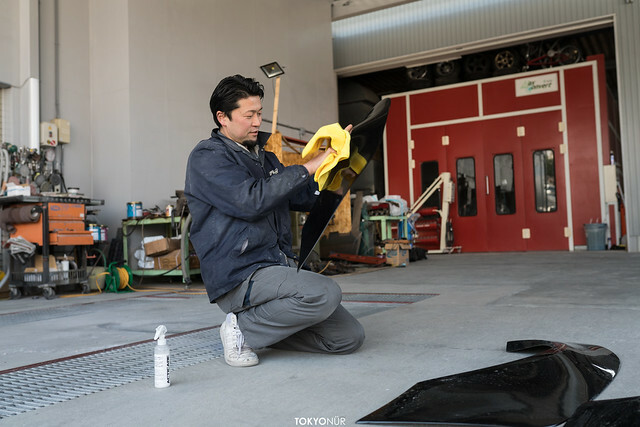 This totally became my annual occasion to observe Ishikawa Body rush work/advertise to gather people who help him. 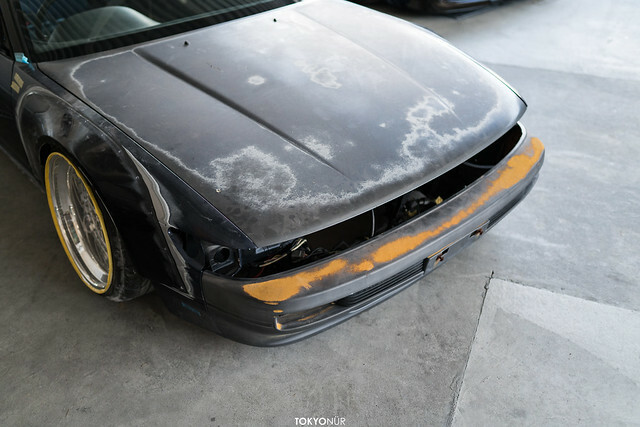 Last year “Mar-Van” was like this at the show but 180 was perfect at the show . 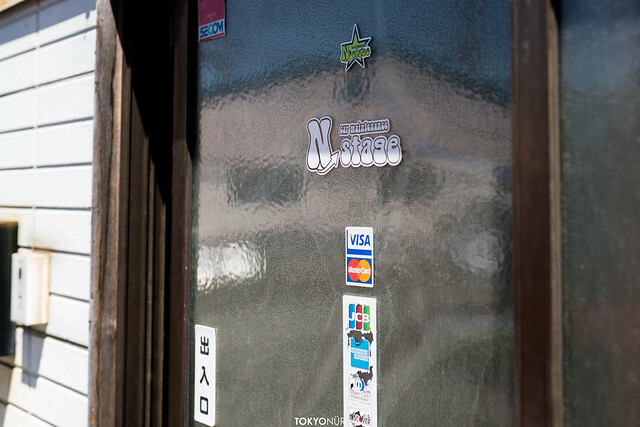 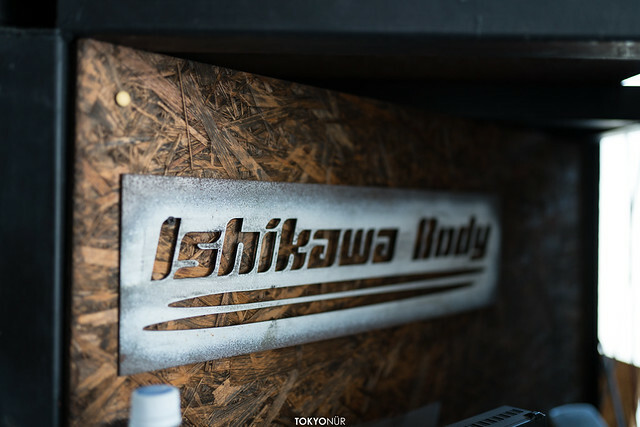 Here is what Ishkawa Body looked like in last year in March . 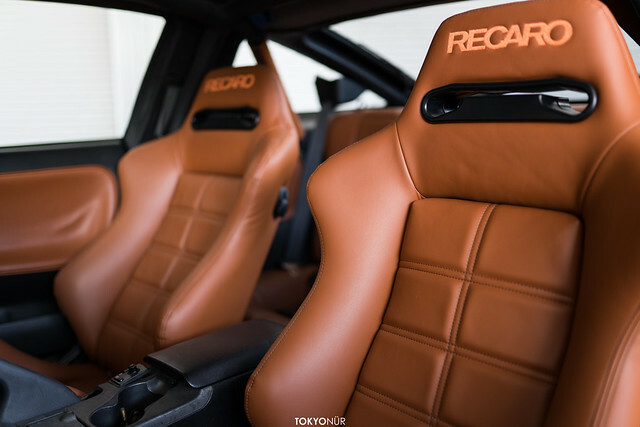 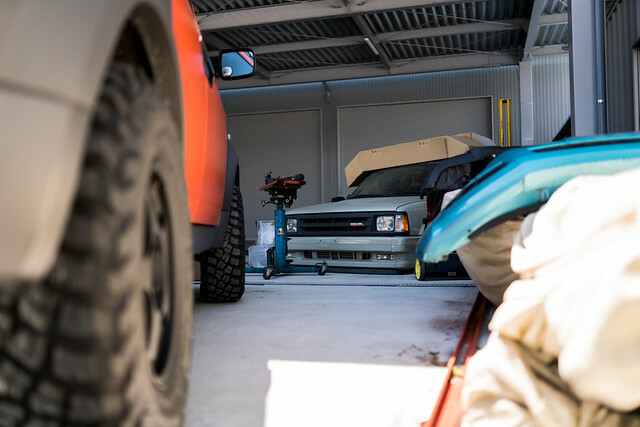 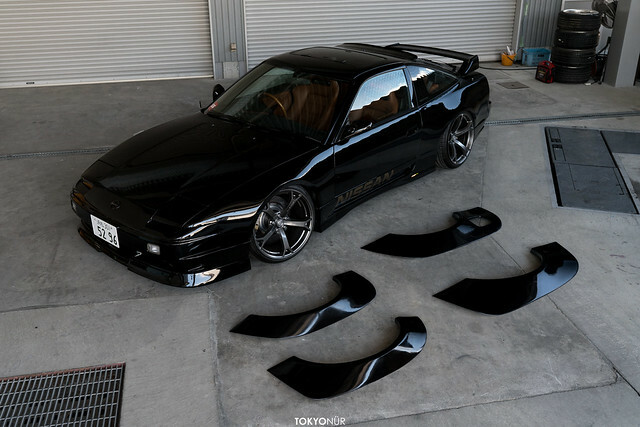 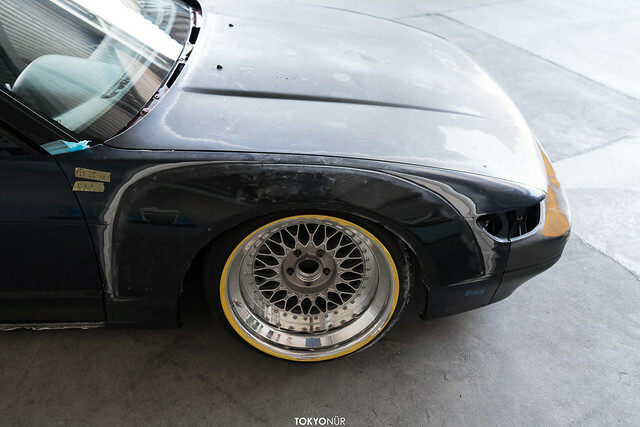 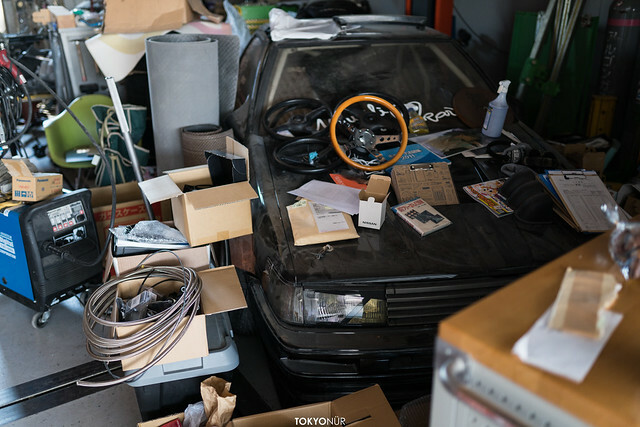 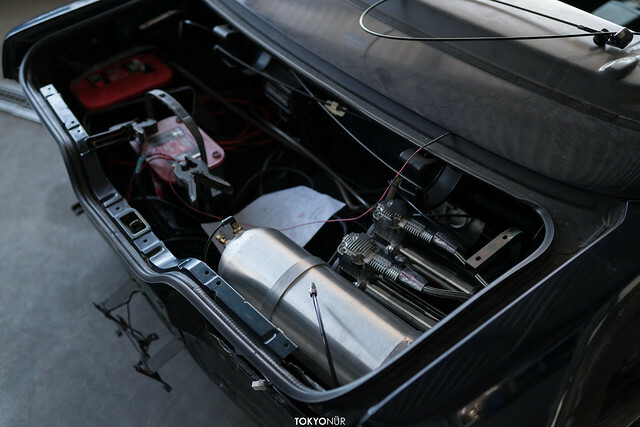 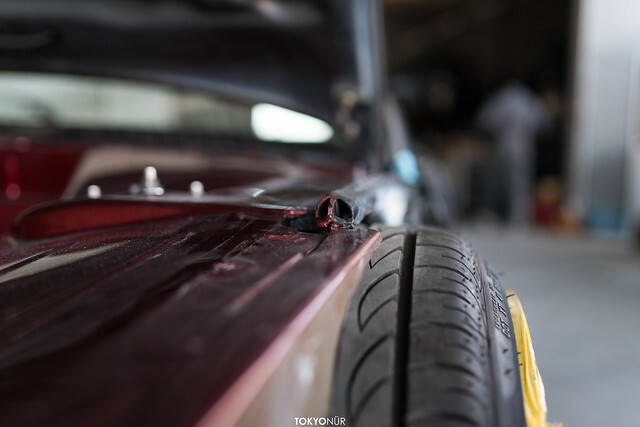 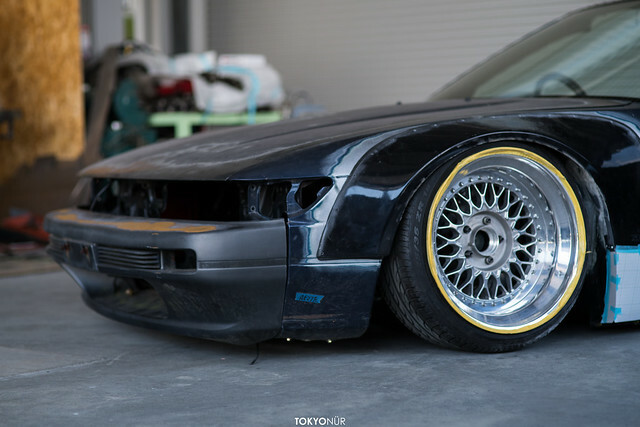 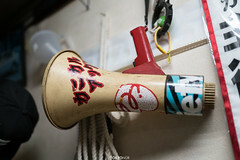 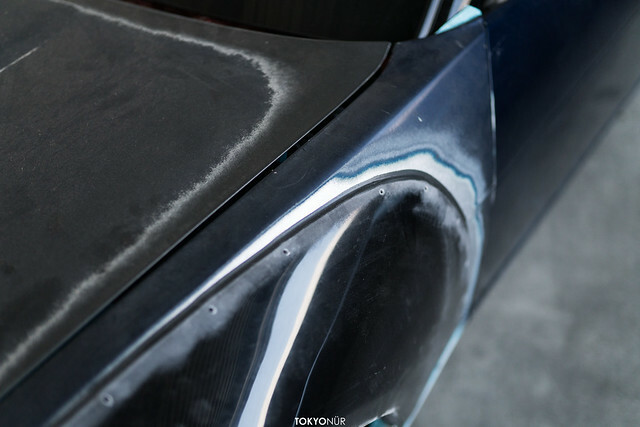 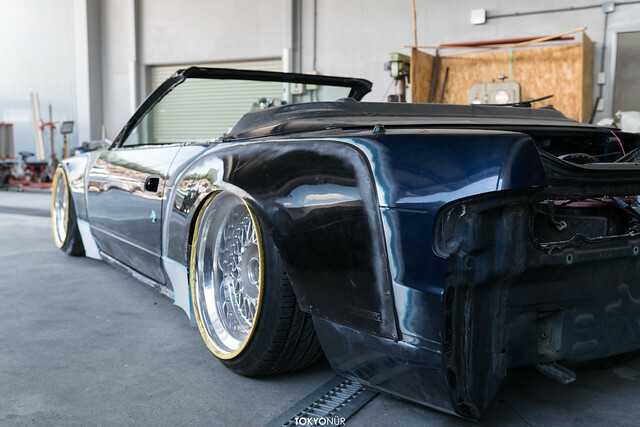 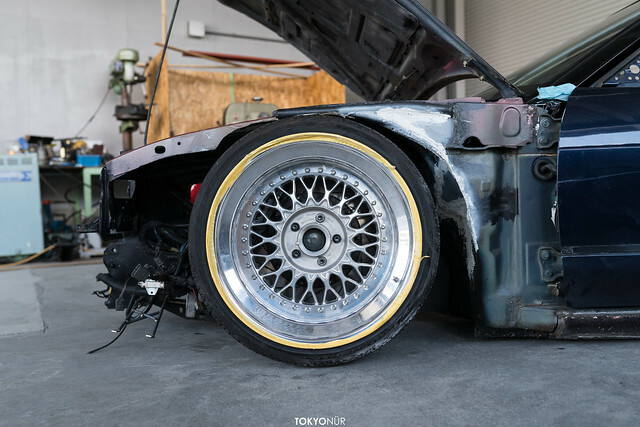 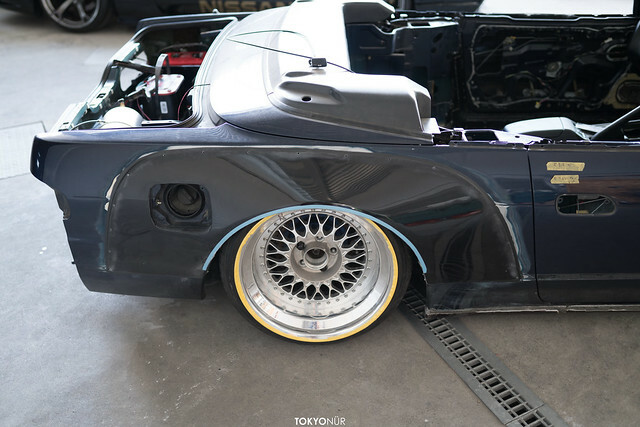 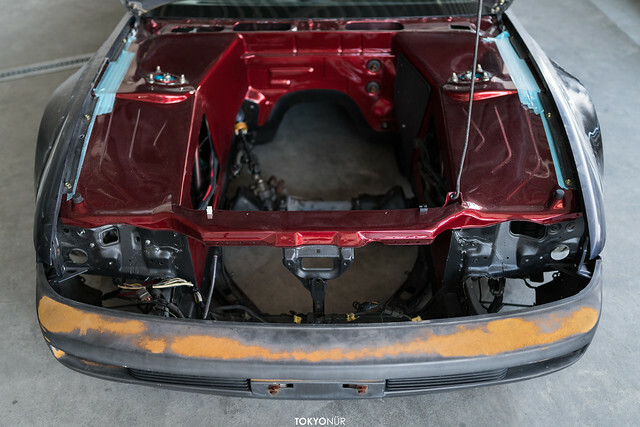 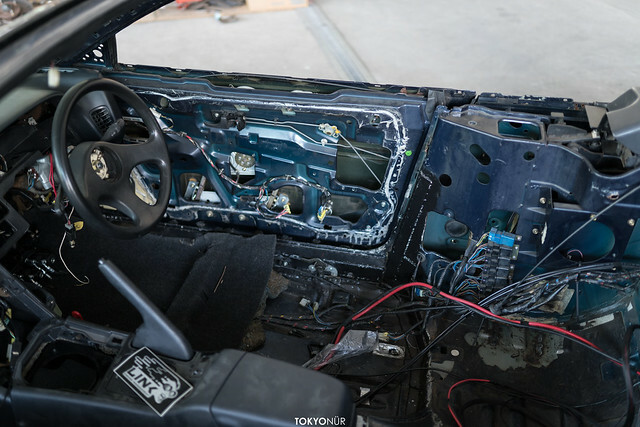 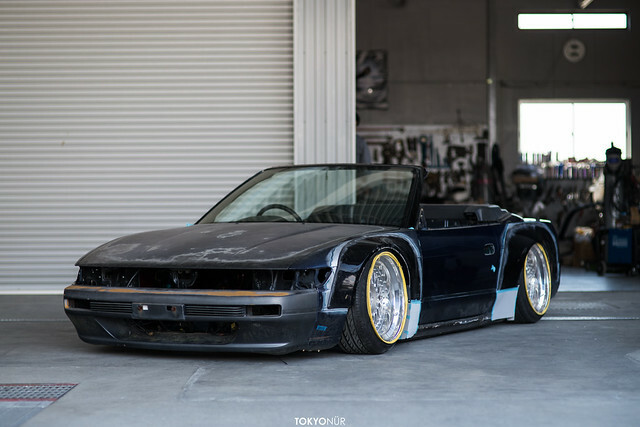 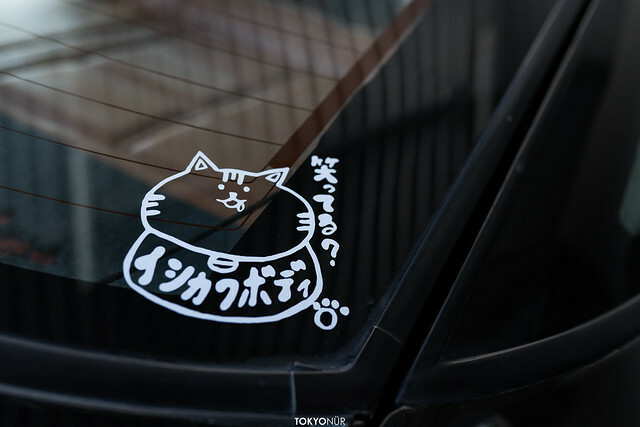 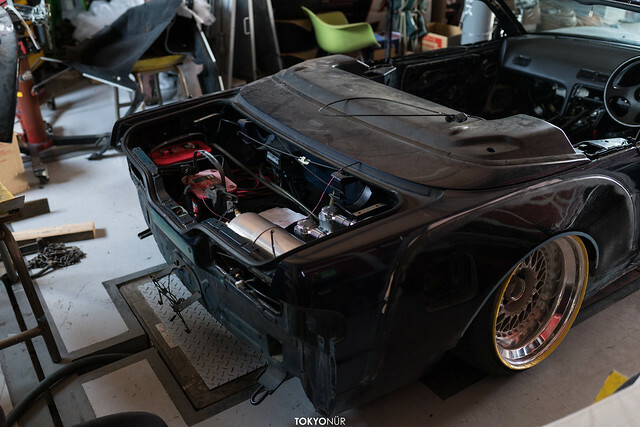 So, this year Ishikawa-san is building S13 Silvia convertible which is kinda behind schedule right now. 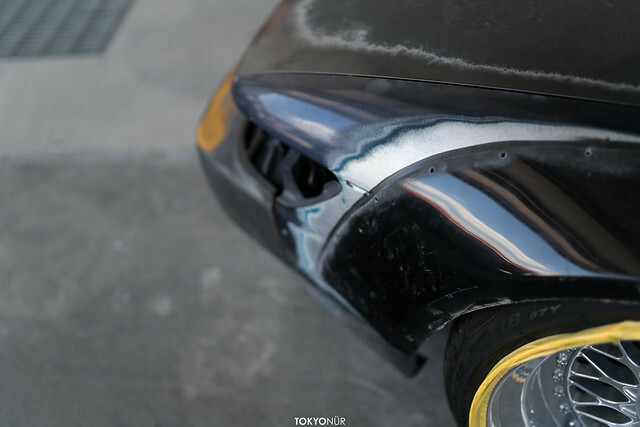 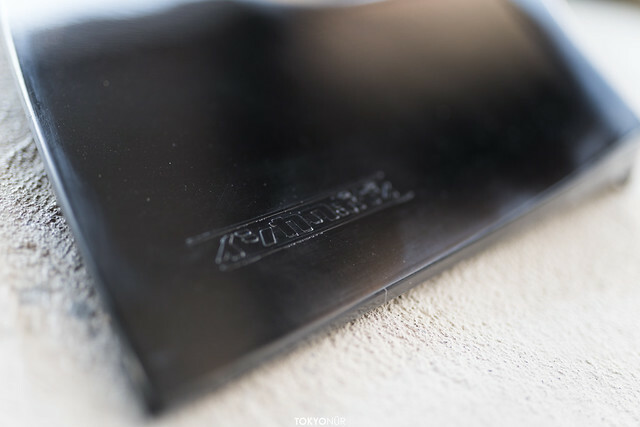 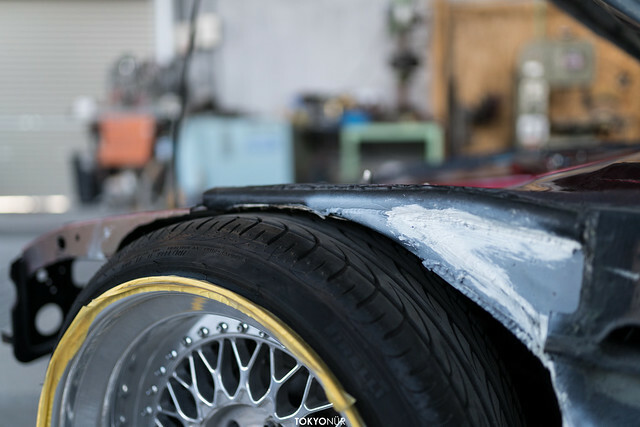 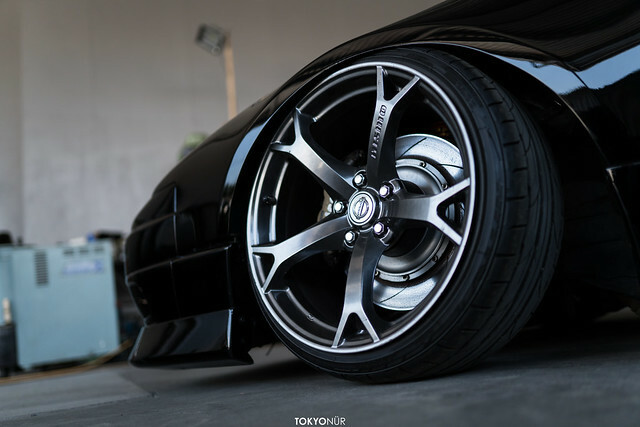 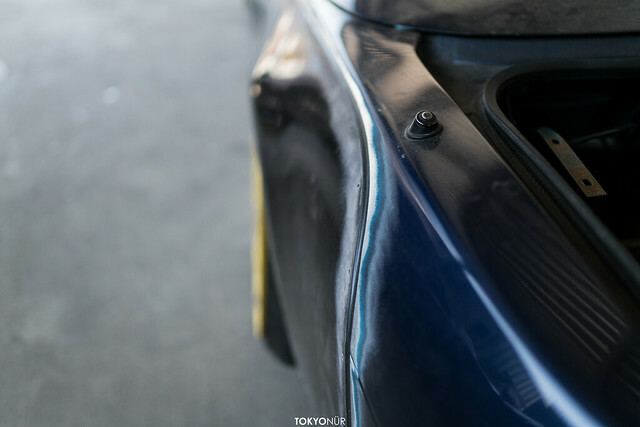 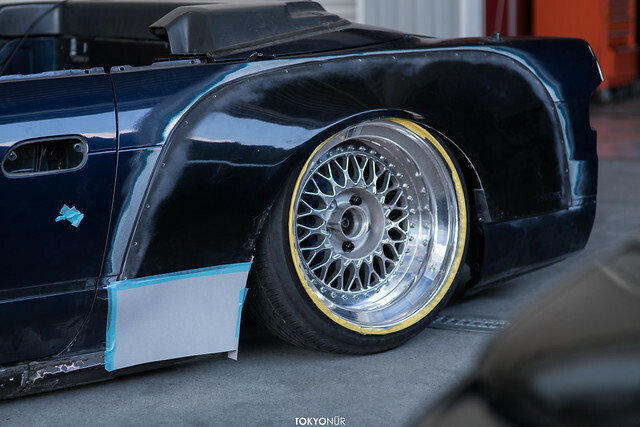 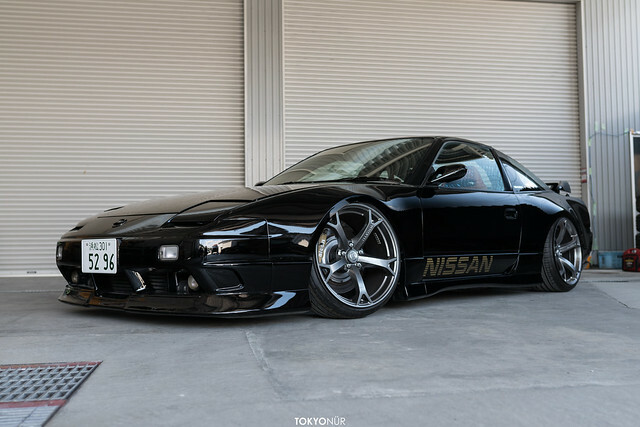 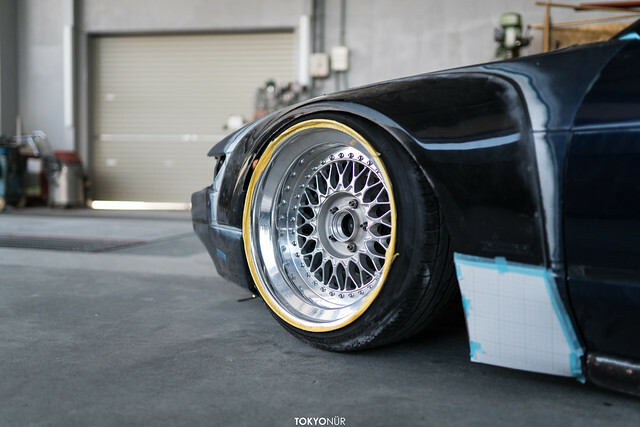 They are using Ishikawa Body original fenders that Taniguchi-san(NOB) loved so much he ordered very first set for his car. 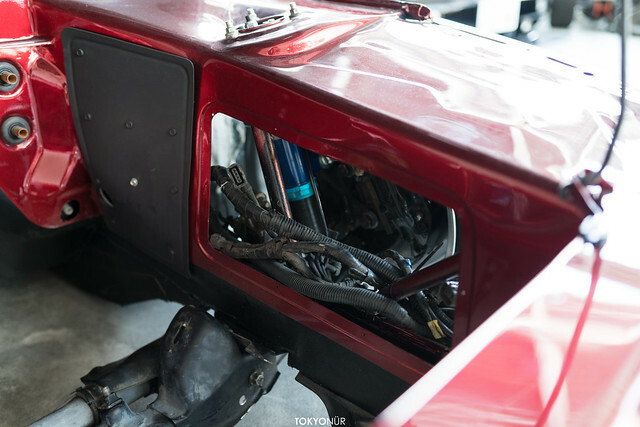 Ishikawa-san is not happy with it looks when he dropped car with airbag, that he needs to modify the fenders for a bit before Wekfest.